Is anyone certain what’s going on in Australia, other than Australians? Some of the most stunning and terrifying photographs have been able to come out of Australia. What is otherwise a normal day to an Aussie seems like a scary, awe-inspiring time to the rest of us. Here are some of the craziest photographs that Australia has to offer – with sharks and crocodiles and flying foxes, oh my! If you’ve ever been worried about what a python from Australia snacks on, you might need to know that the answer is … just about everything. Not even a flying creature could escape the hungry jaws of a python. 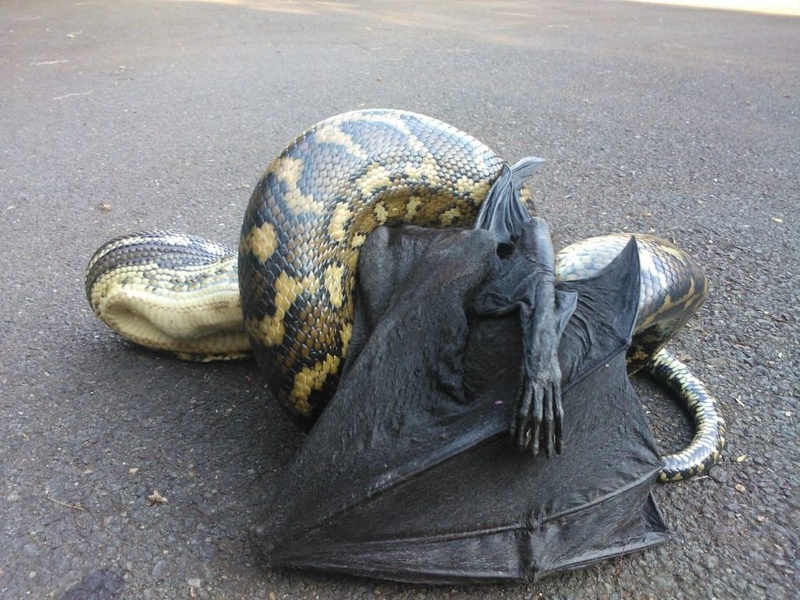 This flying fox didn’t stand a chance, and the sight of the python wrapped hungrily around this absolutely shocking.